In is first spell with Sporting Gijón (1968-80) he showed how quick and poweful he was up front and his imeccable finishing with both his feet and his head impressed. It was no conicidence that he was Pichichi on three different occasions with the Asturian team. Barça finally managed to prise him away from Sporting in 1980 after several years of trying. At 31, he was still very effective and had lost none of his sharpness in front of goal. During his first campaign at Camp Nou he was kidnapped, but later rescued unharmed by the police. Three months later he came up against the Sporting team in which he had played for 12 years in the Copa del Rey final and showed true professionalism to score twice and help the Blaugrana to victory. 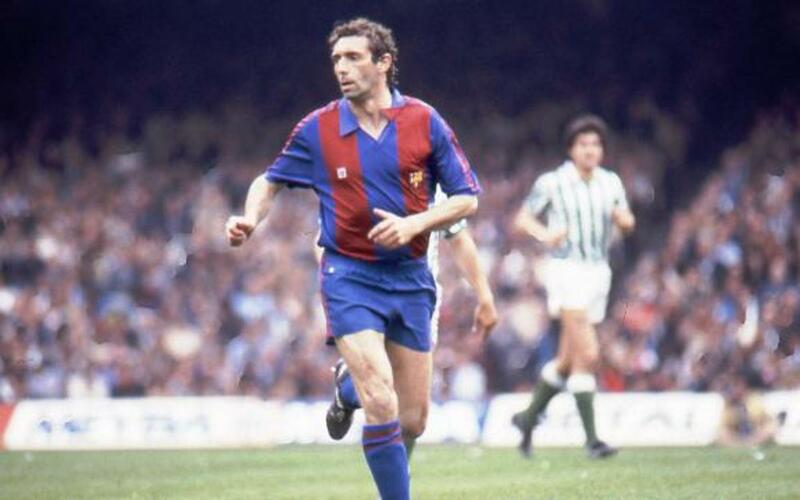 In 1980/81 and 1981/82 he finished as the Spanish top flight's top goalscorer with Barcelona and scored the club's 3,000th league goal on January 24, 1982 against Castellón. The Club paid tribute to him in a testimonial on 9 October 184 at Camp Nou. That same year he returned to Sporting and left behind some very happy memories with his amazing goalscoring feats and was praised for his human qualities as much as his football ability. On 23 April 2016 he received the FC Barcelona Golden Badge for his services to the Club. Enrique Castro 'Quini' passed away on 27 February 2018 in Gijón.